Recorded Live at Various Venues, USA - Various dates. Soundboard Recording :: Silver CD :: MP3 CBR 320 kbps. Files: 28. :: Size: 150,49 MB. Personnel: Glenn Danzig - vocals :: Jerry Only - bass :: Doyle - guitar :: Arthur Googy - drums. 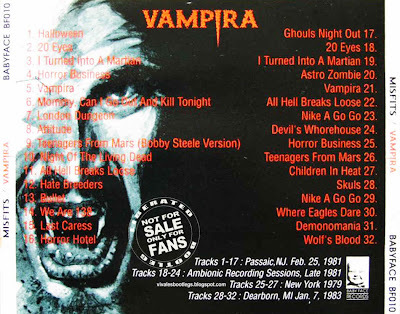 Notes: 01-17: Live 25 Dec 1981 at Hittsville in Passaic, NJ :::: 18-24: Walk Among Us side one original unreleased Plan 9 version 1981 :::: 25-27: Live 15 Sept 1979 (2nd set) at the 4th Street Saloon in Bethlehem, PA :::: 28-32: Live 07 Jan 1983 at Henry Ford Community College in Dearborn, MI. 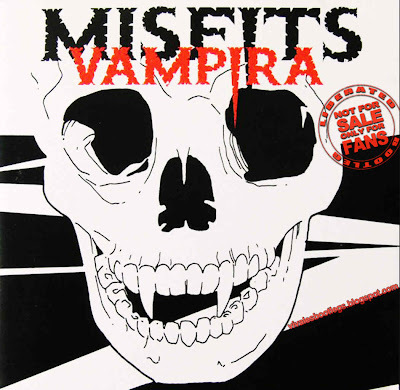 :: Offending tracks removed :: Please note that tracks 18-21 are omitted since they appear in the Misfits Box Set on disc 3 as tracks 22-25 .